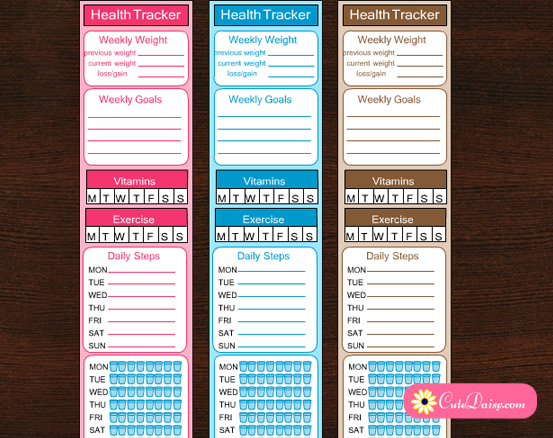 Yesterday someone in my group shared the idea of health tracker stickers in weekly sidebar and many ladies liked the idea so I thought I should make some Free Printable Health Tracker Side Bar Stickers for you. 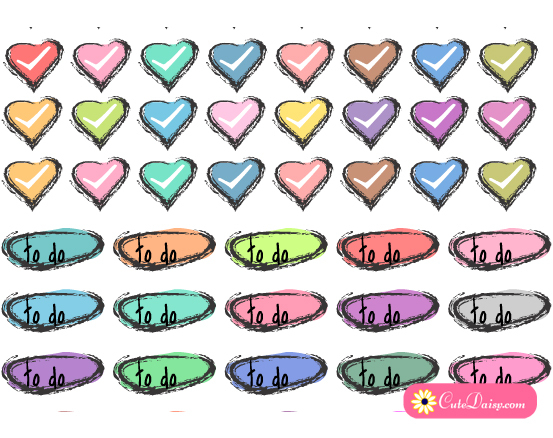 These stickers are in 1.75″x7″ in size so these should fit both happy planner and erin condren vertical life planner’s side bars. Let me know if these wont fit well. 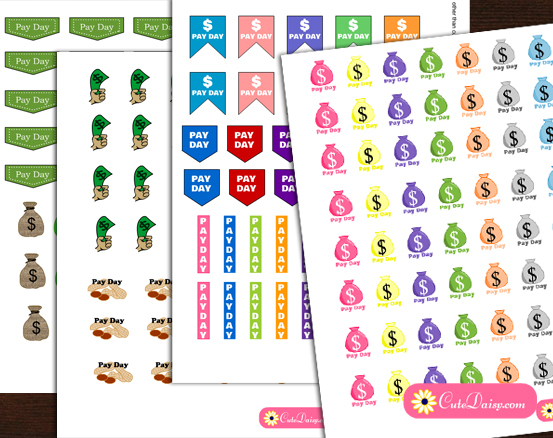 You can paste these as a one big sticker or can cut the smaller parts in it and paste in your side bar. 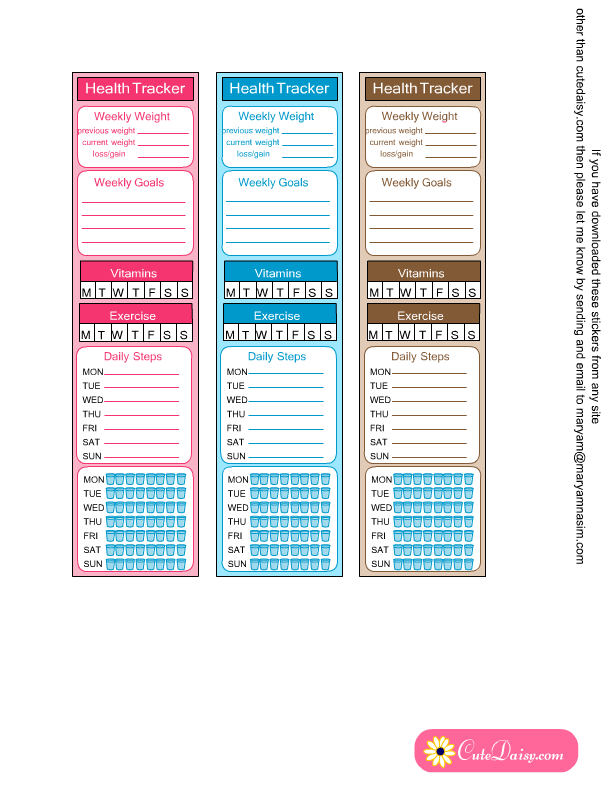 I have made these stickers in 3 different colors so these will match your weekly planner layouts. I’ll really look forward to get the feedback. 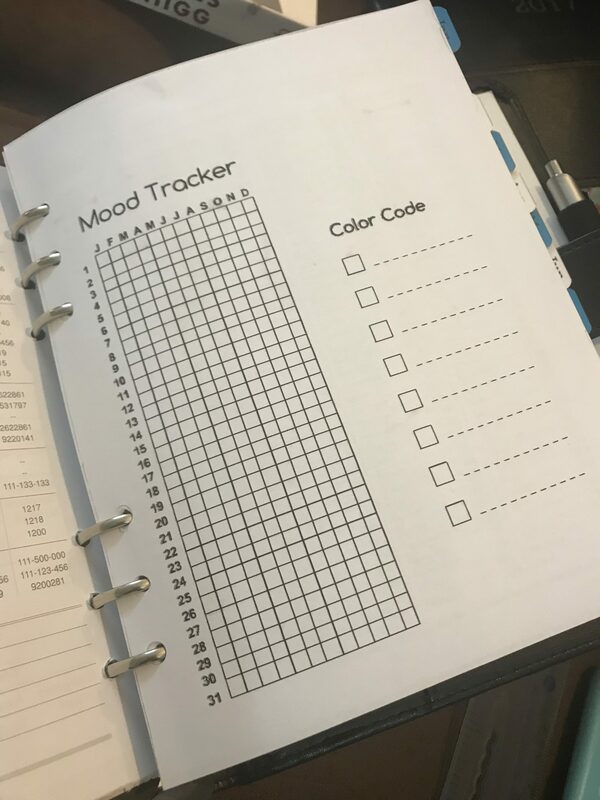 These stickers include one weight tracker, one sticker for weekly goals, exercise tracker, vitamins tracker, you can note down your daily steps and there is also a weekly hydrate checklist. Click here to download the PDF file. Thank you so much! I can’t wait to print this out! These are awesome!!! 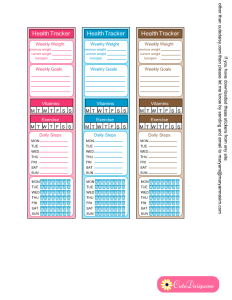 I will be able to utilize these every week!!! Thank you! These are going to help me so much! I don’t remember to take my vitamins. Now MAYBE I will!! Hugs to you from afar!! These are the BEST. Thank you!